Clean, economical salt for all water softeners! Futuramic’s Clean Water Center strongly recommends using only extra coarse solar salt in your water softener. High purity salt evaporated naturally by the sun and wind. Pure salt, a typical of 99.8% sodium chloride crystals resist mushing and bridging. Minimizes accumulation of brine tank residue. Please fill out the form below to order salt! How many bags of salt? Salt is heavy, bags rip and can be very messy, not to mention the space that they take up. 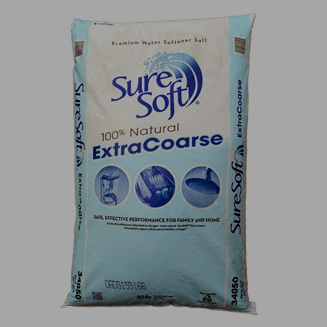 Let us make your life easier with our water softener salt delivery service. We offer environmentally friendly ice melt for ice removal as well. 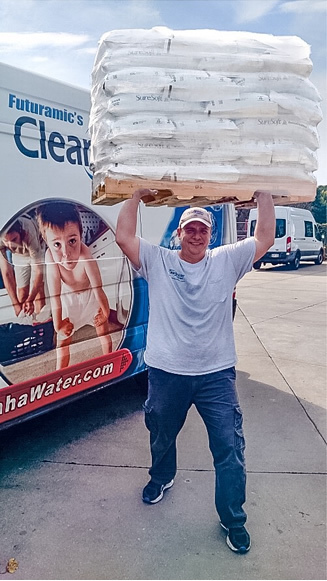 With our flexible delivery options we can set up delivery that will fit your schedule and accommodate the quantity that you require, call the Clean Water Center at 402-453-5730 or fill out the form and we will contact you to set up a delivery schedule.